Her Majesty's Courts and Tribunals Service (HMCS) publish and regularly update the leaflets and forms explaining and communicating the court process. Leaflets are numbered starting with the characters EX, for example EX160B Undertaking to apply for remission of a court fee or to pay a court fee. County court request forms usually have a statutory court fee. County court application forms, notification forms and notice forms do not have a fee. Not everyone is confident and experienced in preparing and making their own small claim. MoneyClaimsUK are here to help, our pre-action® ADR® service ensures pre-action compliance and fulfils your pre-court obligations, prior to commencing County Court proceedings and continues all the way through the court process to post judgment enforcement. 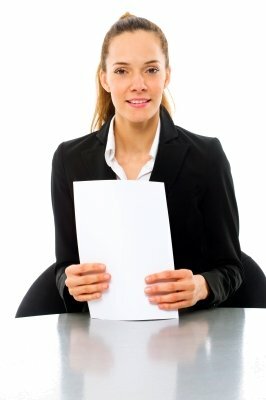 EX20 Paying my judgment - What do I do? EX301 I'm in a dispute - what can I do? EX303 A court claim has been made against me – what should I do? EX304 I've started a claim in court – what happens next? EX320 Registered judgments - What does it mean? EX321 I have a judgment but the defendant hasn't paid – What do I do? EX322 Warrant of control - How do I ask for a warrant of control? EX323 Attachment of earnings - How do I ask for an attachment of earnings order? EX325 Third party debt orders and charging orders – How do I apply for an order? – How do I respond to an order? EX326 I cannot pay my judgment - What do I do? EX328 I have a Tribunal decision but the respondent has not paid - How do I enforce it? EX329 I have an Advisory, Conciliation and Arbitration Service (ACAS) settlement or conditional settlement (Form COT3) but the respondent has not paid – How do I enforce it? EX343 Unhappy With Our Service - What Can You Do? EX727 I have an Employment or an Employment Appeal Tribunal award but the respondent has not paid - How do I enforce it? EX728 I have an Advisory, Conciliation and Arbitration Service (Acas) settlement (Form COT3) but the respondent has not paid - How do I enforce it? EX730 Would you like to settle your case without going to a court hearing? N461 Notes Guidance Notes on Completing the Judicial Review Claim Form.